Komponist (1822-1890). 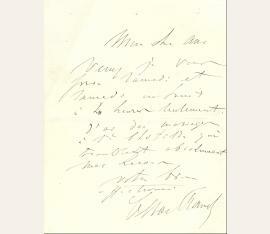 Autograph musical quotation signed, with 3 other quotations by Halévy, Auber and Louis Clapisson on reverse. Paris. 2 SS. Qu.-folio. 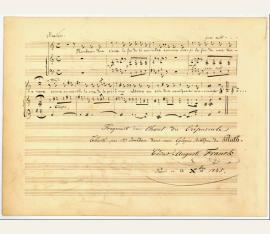 Nine bars "Fragment du Chant du Crépuscule | Chanté par Mr. Jourdan dans mon Eglogue Biblique de Ruth" ("Flambeau des cieux la fin de ta carrière"), premiered (in its first pkpk) 1846. 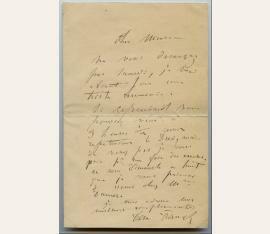 - Reverse: 1) Jacques Fromental Halévy. AmusQS. [Paris? ], 18. IX. 1845. Ten bars Allegro for piano. 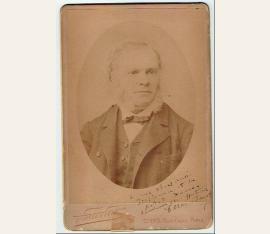 2) Daniel Auber. AmusQS. [Paris? ], 6. IV. 1846. Four bars for piano. 3) Louis Clapisson. AmusQS. [Paris? ], 17. VII. 1861. 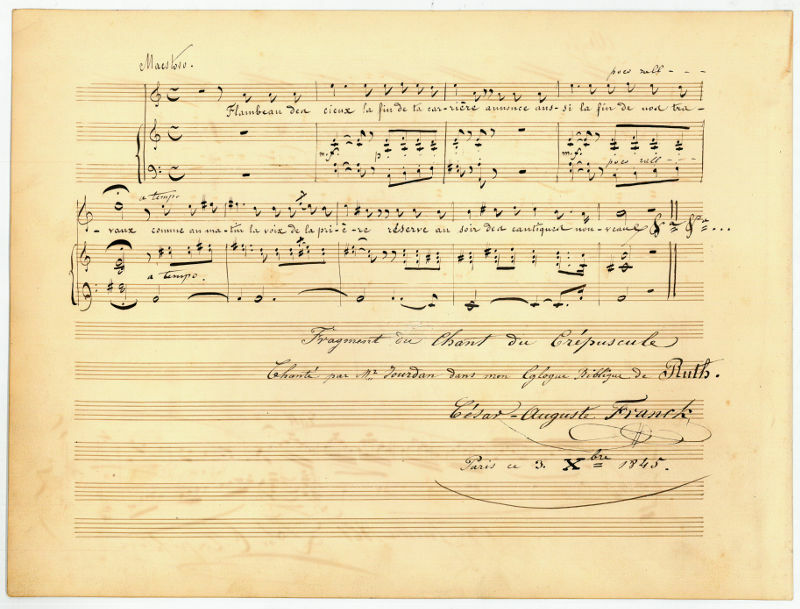 Eight bars for piano, picking up Halévy's contribution. In part (translated): “Don’t worry about our Saturday meeting. I shall be absent because of a sad occasion. However, if you should come at 9:30 we would rehearse the duet.” In fine condition. Nice musical content from the acclaimed pianist.